◆ 2018/6，The headquarters has moved to Baiwangxin Hi-tech Industrial Park of Nanshan. ◆ 2017/10，Opway Wuhan production base has passed ISO14001,OHSAS18001 system certificates. ◆ 2017/6，QSFP28 LR4/CFP2 LR4 announced. 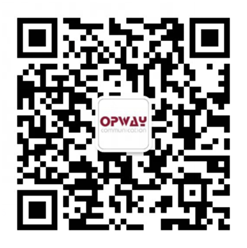 ◆ 2017/5，Tongyu Communication Inc.(Stock code:002792) has acquired Opway Communication. ◆ 2016/6，"5G MINI CXP optical transceiver" project has passed the testing of government. ◆ 2015/4，Opway Communication has mergered FTTX. ◆ 2015/3，40G QSFP+ SR4/LR4 achieved mass production. ◆ 2014/10，Opway was awarded the "National Hi-Tech Enterprise". ◆ 2014/3，Opway has passed IEC&TUV certificates. ◆ 2013/8，Opway was rated the first batch of "Shenzhen Hi-Tech Enterprise". ◆ 2012/6，CWDM&DWDM SFP/SFP+/XFP,BIDI SFP/SFP+/XFP achieved mass production. ◆ 2011/3~2011/8，3.125G/6.25G SFP CPRI/OBASI SFP,4.25G/8G SFP,SFP+/XFP SR/LR/ER/ZR/ZR+ achieved mass production. ◆ 2010/12，Opway has passed CE,FCC,RoHS certificates. ◆ 2010/4~2010/10，1x9,GBIC,155mb~2.5G SFP announced and achived mass production.